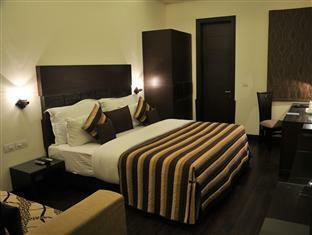 I stayer here 10 Nights & came to Delhi for vacation. this hotel is in South Delhi and near to M block market in GK 1, i have stayed in GK -1 area 6 times before and this is our 7 time in GK 1 area. Usually i like this area GK-1 is not very crowded and very posh area, nice shopping area like M block market just 5 min walking distance, good restaurants, money exchange all are near by, there is 6 more hotels in this surrounding, in same road, The hotel is ok, stuffs are friendly, try their best to help you. overall good experience. It's a good location. We had some issues checking in because the name has changed to South Hall and our booking said Glitter Hotel, so it took a while to make clear everything had been paid already. We hardly saw the staff, housekeeping never came. I stayed here on a short business trip. Hotel was located in a good location, service was pretty decent. Suited all the basic no frills needs of a business traveller. I would go back there to stay again. We had a smooth check-in. The room was very good, and the bathroom was clean too ! 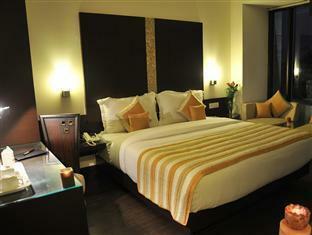 The staff wore a smile on their face, which is very unlikely in any hotel in Delhi. Bottom line, it was a pleasant experience and worth the money. The room service and housekeeping services were terrible. No Wifi available in my room. Promises unfulfilled. i really enjoyed my stay in hotel glitter. i would definitely stay here for my next travel. en restant neutre je dirai que je ne sais pas si c'est Agoda qui n'a pas fait son boulot ou si c'est l hotel qui n a pas assuré mais apres 8 heures de vol je n avais pas de chambre de reservée et l hotel etait COMPLET alors que le site d'agoda proposait encore des dispos!!!!!! Heureusement une personne de l'hotel plutot embeté m a conduit dans un autre hotel juste a coté , je pensais le probleme resolut mais c'est sans compter sur le fait que le nouvel hotel n avait de chambre dispo que pour 3 nuits, je suis donc reparti a la recherche d un nouveau logement toujours avec la meme personne de l hotel qui m accompagnait... pour finir je dirai heureusement que le personnel sur place etait plutot sympa parce qu'au final je mettrais un ZERO a Agoda pour la prestation!!!!!!!!! agréable pour un court séjour mais attention au bruit! personnel réduit, loin du centre, quartier résidentiel. สถานีรถไฟใต้ดิน Kailash Colony - ระยะ 0.84 กม.